Meet the Tocal Scholarship Winners! Home » 2018 » Meet the Tocal Scholarship Winners! 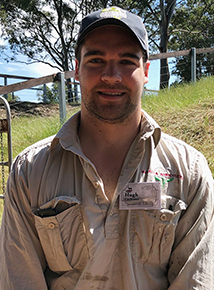 Angus Australia selected three Angus Youth members to take part in the Tocal Beef Cattle Assessment Course, finishing today at the prestigious Tocal Agricultural College. Hugh Cochrane, Michael Wilkie and Annabelle Butler are taking part in the course, which is committed to the education of its participants in all aspects of the beef industry and works to increase participants knowledge and skills in judging and selecting beef cattle. Hugh Cochrane has a background in agriculture which was developed from a young age, with parents who are free range chicken growers and grandparents with a well-established Angus stud in the Jimboomba region. Due to this his experience in the livestock industry began at a young age, developing practical experience through working with cattle. Mr Cochrane credits his grandfather, John Cochrane, Past President of Angus Australia, for driving his passion to work toward a future breeding good-quality Angus cattle. Mr Cochrane expanded his experience in the beef cattle industry through his inclusion in The King’s School Ag Club during his high school years, which led to the opportunity to handle and show stud cattle at the Sydney Royal Easter Show and Scone Show in 2012, where he was a finalist in the Scone Junior Judging competition. Mr Cochrane currently is studying a Bachelor of Commerce/Finance at the University of Queensland. Whilst studying, Mr Cochrane works in a permanent part-time position with Australian Agricultural Company (AACo), in the company’s finance department. Through his experience working with AACo, Mr Cochrane has also gained experience in areas outside the finance department including sales reporting, identifying key export markets, financial and management reporting, marketing and inventory reporting. Mr Cochrane looks forward to the Tocal Beef Cattle Assessment Course to grow his existing knowledge of breeding stud cattle and learning skills to assist in his breeding decisions for his own small herd of Angus cattle. “I am keen to learn everything that I can about the optimum phenotype traits of Angus cattle,” Mr Cochrane said. 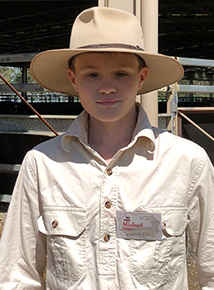 Michael Wilkie has a background in agriculture through his experience with his own small stud herd based in Dayboro QLD, showing his own cattle or assisting others showing, and through his weekly work experience at the local saleyards. Mr Wilkie looks forward the skills he will develop at the Tocal Beef Cattle Assessment Course and gaining more experience in being able a decipher what is important in a quality animal, as he main driving interest in the beef industry is breeding and getting animals to sale as quality meat for market. “We have only had cattle for a short amount of time, therefore my judging experience is limited. I am hoping that the course teaches me many things to improve my existing knowledge,” Mr Wilkie said. Miss Butler was brought up on a mixed farm at Croppa Creek near North Star NSW, with a breeding herd incorporating Angus genetics. 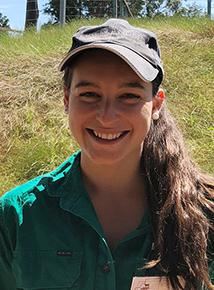 From the age of 10, Miss Butler has been involved in several Queensland Youth Cattle Conferences both as a delegate and as a volunteer, assisting younger participants in handling, herdsmanship and competition. During this time, she also had the opportunity to represent UQ at the Australian Intercollegiate Meat Judging Competition in 2017. Miss Butler has deliberately immersed herself across the whole supply chain of the beef industry through various working capacities in order to have a well-rounded exposure of the industry. Miss Butler currently works for Teys Australia in Livestock Strategic Operations. Miss Butler has a broad existing understanding in beef cattle judging, however looks forward to the opportunity to develop her confidence in decision making skills and refining the way in which she conveys her ideas at the Beef Cattle Assessment Course.